Not the club itself don't worry. The main shareholders of the club Valencia CF is "Valencia CF foundation", which basically bought the club in 2009, by buying off the majority of the shares, although it was done through a credit loan by Bancaja at the time, now merged and called Bankia. Anyways the foundation is unable to pay the debt of 86 million euros to Bankia, not just the interest on the debt of 4 million this year. Right now the Valencia government is negotiating to refinance the debt and if unable to take over the club. What can happen is Bankia can also take over of the club, though they are not interested in doing that and would not really have any use of the club, especially since they own most of the debt anyways. So it is an interesting situation that is developing and I just hope there is not going to be intrusion in the club and its operating, as that could destroy Valencia CF season. It could really ruin our whole season and ruin the club. 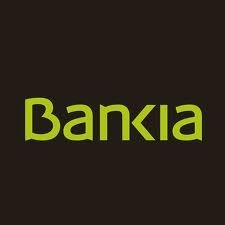 So right now its all in the hands of Bankia and what they decide, although the bank itself is bankrupt and going through major internal changes, so that is also to look for.